The ratification of the 1954 Hague Convention for the Protection of Cultural Property in the Event of Armed Conflict will be mentioned in the Queen’s Speech in British Parliament. 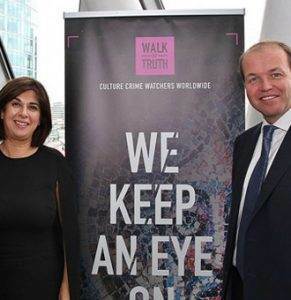 This is a result of months of dedicated lobbying by Walk of Truth and the All-Party Parliamentary Group for the Protection of Cultural Heritage (APPG). The Queen’s speech announces the government’s legislation for the coming year at the opening of Parliament. Thank you Lord Colin Renfrew and David Burrowes!